I LIKE PAINTING LANDSCAPES AND I’VE DISCOVERED STILL LIFE BUT, NEVER BEING ONE TO STICK TO THE NORM, I HAD A FANCY TO COMBINE THE TWO. THESE ARE IMAGINED OR REMEMBERED VIEWS OF SUFFOLK FROM IMAGINED WINDOWS. THE STILL LIFE PARTS ALL INCLUDE IMAGES OF REAL ARTICLES, THE GOLDEN HARE, THE OWL , THE BEER BOTTLE ETC. I LIKE TO LEAVE THE VIEWER TO MAKE UP THEIR OWN STORY ABOUT WHAT’S HAPPENING. How about a painting of your 4 legged friend? 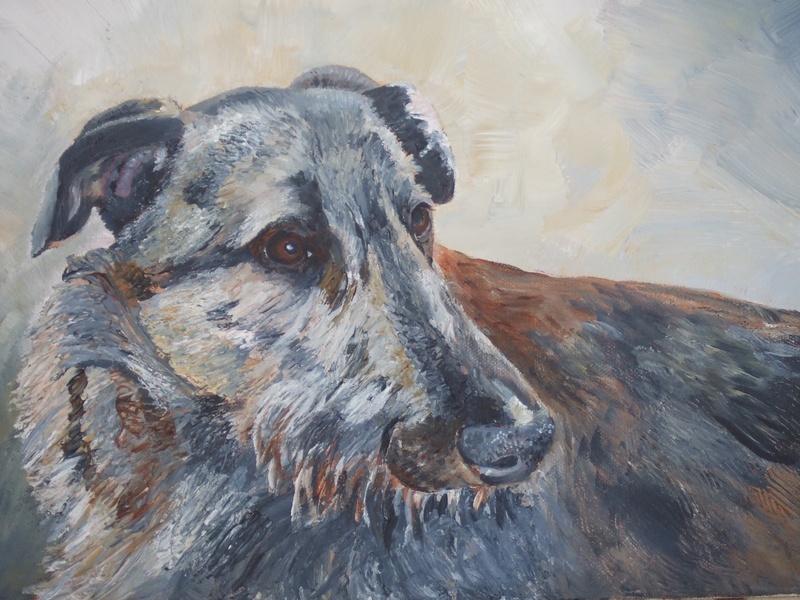 Here’s some examples of Pet Portrait Commissions I have undertaken.